If you are traveling in an RV on I-90 in South Dakota plan on a stop at Exit 332 at Mitchell. 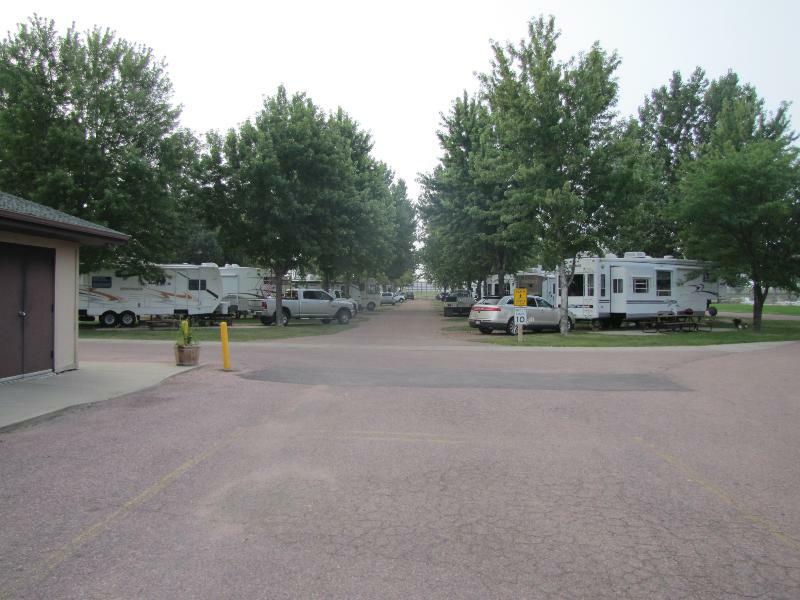 There, right off the interstate, you will find the The R&R Campground and RV Park. It is tucked behind the Super 8 Motel, and shares the heated pool. The campground is open May through September. This comfortable facility honors either Passport America or Good Sam Club membership discounts. The park has 35 pull through sites and 5 back in sites. Full hook ups are available in the pull through sites. Some tent sites are also available.The campground roads and RV pads are gravel and level. Grass lawn and picnic tables are part of the rental spots. The design of the park allows for easy maneuvering of any size rig. The dump station drain is set at a low level allowing for easy waste water dumping if you choose to use it. The restrooms and showers are clean. The laundry facility is in the same building as the office and is also clean by the most particular standards. The office has a library and offers some ice cream and even beer and wine for sale. The advertised free internet was fully functional in the office, however we were not able to get online in our trailer. Management admitted that there were problems due for repair. There is more information at the campground page of the Super 8 website. We would recommend this as a stop. I will take the management’s word that the WIFi would soon be fixed. Yesterday we got up and took a train to Stirling, then took a bus to Doune and had a brief walk to the castle.